NRACT is a non-profit, community-based performing arts center, created to enrich the cultural life of the North Raleigh community. A creative outlet is provided for all ages and NRACT openly invites community involvement. 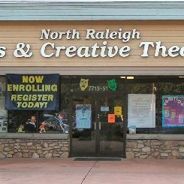 Along with providing instruction in the performing arts, NRACT seeks to promote the traditions and values of the theatre and to produce quality entertainment in a community-oriented atmosphere.